Soft, delicious flapjacks with a layer of tasty jam. 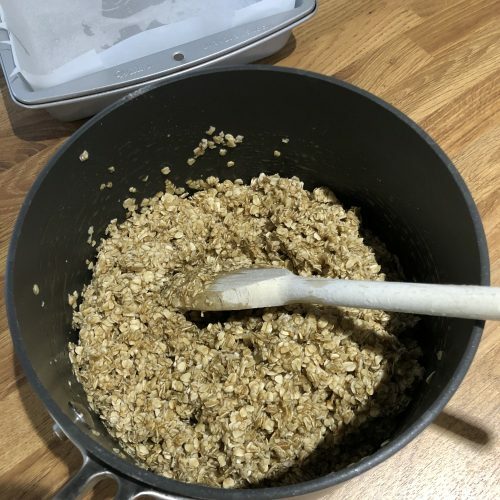 If that hasn’t made you want to make these Easy Jam Flapjack, the fact that they are so simple to make should! 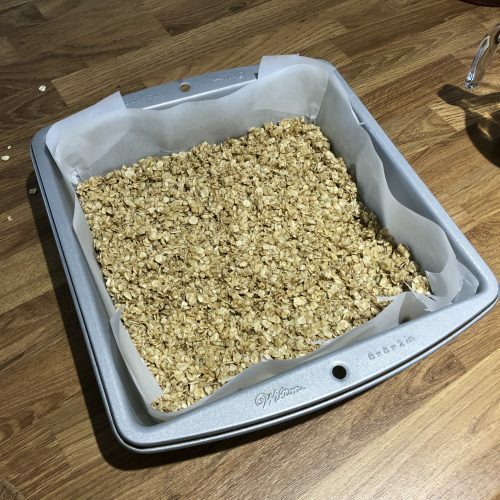 Just how easy are these flapjacks to make? When I say easy, I really do mean easy! 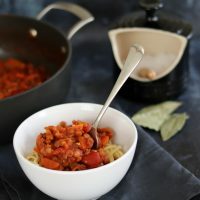 There is no fancy equipment involved, literally melting and stirring. 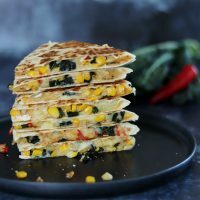 This makes these Easy Jam Flapjacks perfect for children to help with, but also great for unconfident bakers. I love baking, but personally I really can’t be bothered to use my mixer. Now this sounds weird because mixers make baking easy as you aren’t having to use muscle power. But for me its the washing up that I don’t look forward to! 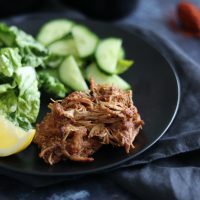 That is why with recipes like this that just require some gentle stirring are so great. That is one of the most important questions when talking about flapjacks. I am 100% team soft flapjack. These Easy Jam Flapjacks are deliciously soft apart from the outside edges that are slightly crisp. If you are strictly team crisp flapjack and need more than the edges to be crisp, bake them for five minutes longer. Why add jam to flapjacks? When I was at school, I had a weekend job in retail. On my lunch break I would often walk to Boots to get a meal deal. 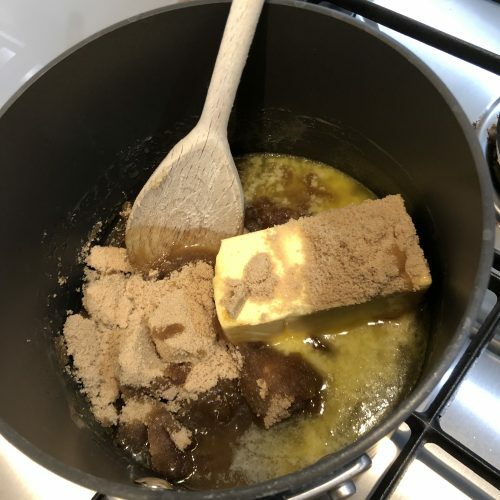 This frequently involved a flapjack with jam in the middle. 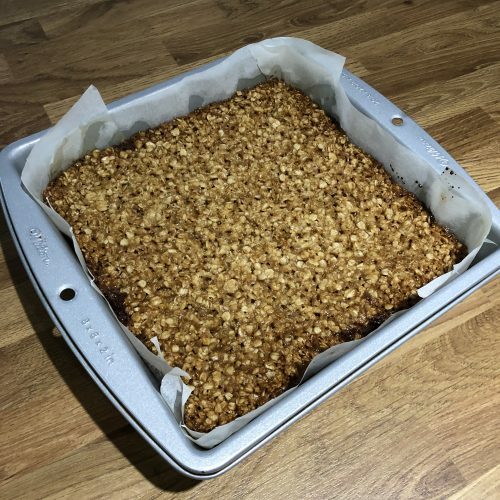 Fast forward ten years (or so…) and I thought it was about time I recreated these jam flapjacks. Apart from making the flapjacks extra tasty, the jam also helps keep the flapjacks soft. 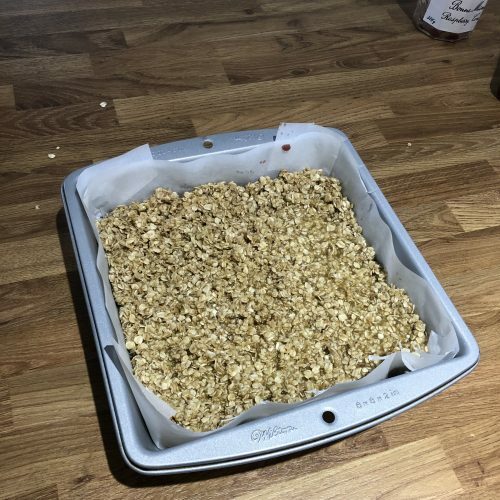 It’s a lovely fruity touch to these already yummy flapjacks. 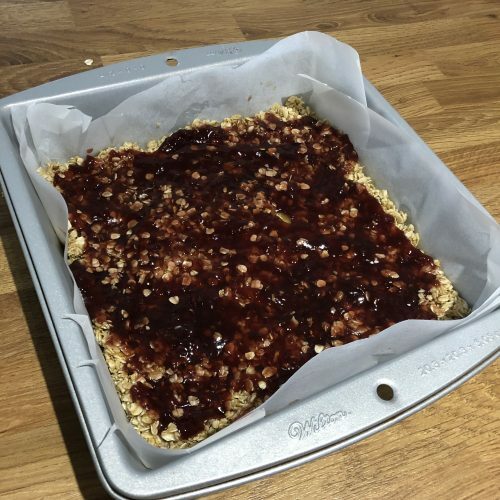 These Easy Jam Flapjacks are great to make at the weekend for snacks during the week. They may get slightly firmer as the week goes on. Having said that they would easily last five days in an airtight container. Soft, delicious flapjacks with a layer of tasty jam. 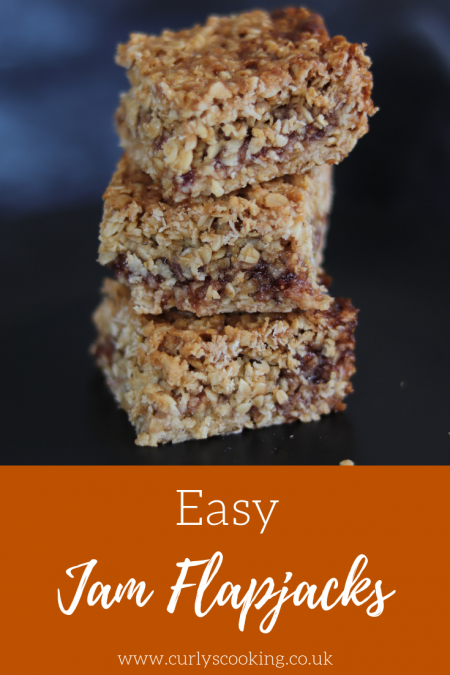 If that hasn't made you want to make these Easy Jam Flapjack, the fact that they are so simple to make should! 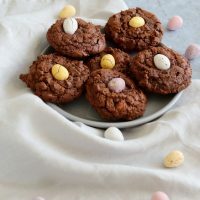 This entry was posted in Biscuits, Cookies and Traybakes on April 15, 2019 by Curly.